An appearance can tell a lot regarding a person, whether it be age or generation. Moreover, various facial traits can give insight into the kind of character that you have. One of these facial traits is our lips. Jean Haner, author of “The Wisdom of Your Face,” and a face reading expert, thinks that each particular facial feature is linked to some part of your real personality. Read on and learn just what your lips can tell about you. Full Top and Bottom Lips. Haner reveals that lip shape can exhibit how much you care about others, and how motherly you are. This who have full upper and bottom lips possess these characteristics in extreme levels. Thin Top and Bottom Lips. If your lips look like these, than you’re not much of an extrovert. You love spending time on your own, and your sense of independence is admirable. “They don’t naturally speak the language of relationships as well as someone with fuller lips, but it doesn’t mean they’re not good in a relationship,” Haner says. Lips with a Peaked Cupid’s Bow. If you have a defined cupid’s bow like Rihanna, then you are a strong communicator, quick-minded and very creative. Lips with a Rounded Cupid’s Bow. If you have a less sharp and more rounded cupid’s bow, than you are a clean-hearted, genuine individual. Lips with an Undefined Cupid’s Bow. If your cupid’s bow lips completely undefined then you are so caring that you lack any emotional boundaries. Lips That Are Plumper In the Center. If your lips are naturally fuller in the middle of your upper and lower lips, than you’re an attention getter and you love it. Narrow mouth with full lips. Small mouth with full lips means that you prioritize the people you care about, such as he significant other in your relationship. “Someone with a small mouth with thin lips, on the other hand, has the hardest time in relationships because they don’t have a strong need for a connection with others,” Haner says. No Upper Lip with a Normal Lower Lip. If you have an extremely thin upper lip and a normally sized bottom lip than you very much value work and achieving your goals over any relationship. Larger Mouth with Normal to Full Lips. If you have normal lips but a wide smile than you’re known for your generosity, and desire to help other individuals. You always think of others first. “A person with a large mouth and thin lips, on the other hand, isn’t as giving or always thinking about others,” says Haner. 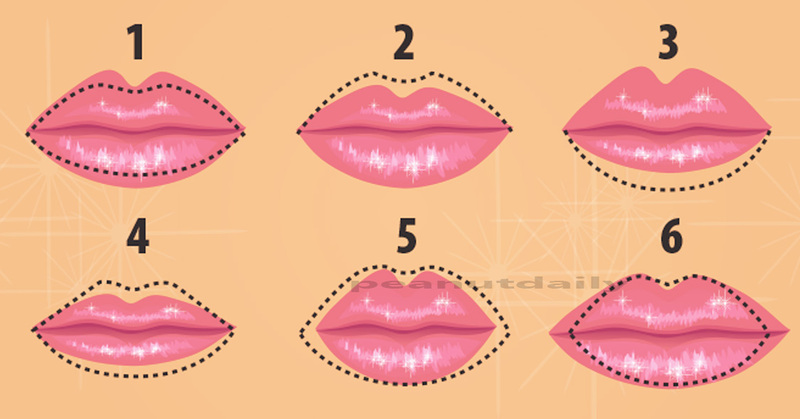 This term addresses those individuals who have lips that are neither thick or thin, just an average size without any extremely defined features.